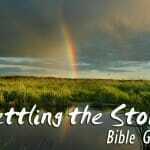 One of the most exciting things Jesus did in the Bible was calm the storms at sea. He did this so we’ll know that he is able to calm the storms in our lives. Getting God’s peace doesn’t always happen right away. You have to look for it. 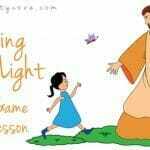 Jesus says, “Seek and you will find.” This Bible game is a great way to teach this important message. 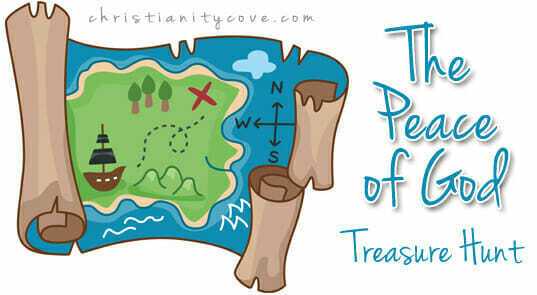 You and your children can look for God’s peace in a treasure hunt! Pictures cut from magazines with peaceful settings such as sunsets, sunrises, lakes and peaceful waters of all kinds, a night sky with a full moon, a contented kitten, a sleeping baby etc. Also use pictures that are anything but peaceful, such as battle scenes, auto crashes, lightning and thunder storms, and any sort of violence. A timer, stop watch, or second hand on a clock. Hide all the pictures around the room. To collect all the pictures during the treasure hunt. Explain to children that there are pictures of peace and pictures of storms hidden all over the room. They should see how many they can find. Do you feel like you have peace after looking at all the peaceful settings God has created? Everyone, pick a few and post them in your bedrooms. They will be treasures to you when you’re trying to get peaceful enough to go to sleep! Did you enjoy this activity? Want to see more? Let me know by leaving a comment below! 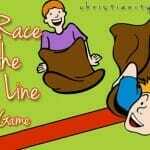 Look for other great Sunday School games in our Bible Games area! 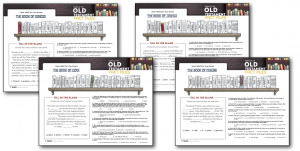 And be sure to “Like” our Facebook page and get a free ebook with 20 faith-based crafts! Teaching Teamwork Using a Pillowcase & a Race!